4 Bedroom Flat For Sale in London for Asking Price £12,950,000. Vicarage Gate House is a prestigious development of just 13 apartments designed by leading London architect, Eric Parry. The development benefits from around the clock concierge services, a tranquil landscaped garden, private gym and secure underground car parking with valet parking. Spacious reception/dining room with openplan Custom-fitted, bespoke Small bone of Devizes kitchen with fully integrated appliances by Wolf and Gaggenau and Sub-Zero. The spacious master suite has access to a terrace, a marble en-suite bathroom and dressing room, three further double bedrooms all en-suite, Central media room, utility room and guest WC, Under floor heating and comfort cooling. 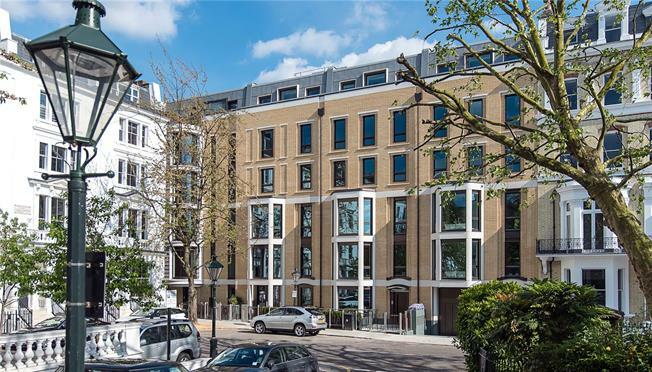 Perfectly positioned between elegant High Street Kensington, fashionable Notting Hill and adjacent to the mansions of Kensington Palace Gardens. Living space offers large sliding doors on to south east facing terraces as well as landscaped communal courtyard with beautiful planting and imaginative lighting at ground floor level.